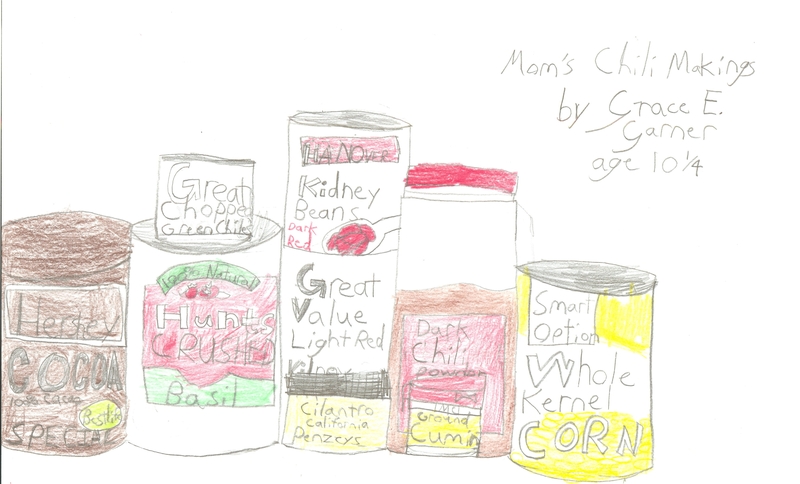 This doesn’t include all the ingredients in my chili, but it was a fun still life sketch exercise! A picture tells a lot. You put corn in your chili–interesting! You shop at Wal-Mart–thrifty!